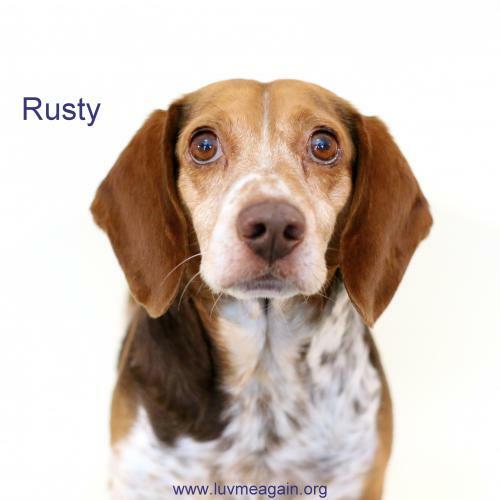 Print an adoption flyer for Rusty! About Me: I am quite the character! I get along great with other dogs, but I have not yet met a cat. I LOVE to play fetch and I am very good at it. Walks are also a favorite of mine. I do tend to follow my nose (I am a beagle!) so I may pull quite hard on my leash when I catch a scent. A fenced yard might be a plus for me, but not required. I love my foster parents. I often like to "talk" with them and they think my little "Aroos" are just adorable when I get excited. I am loveable, affectionate, and I ADORE attention. I am an all around good boy. 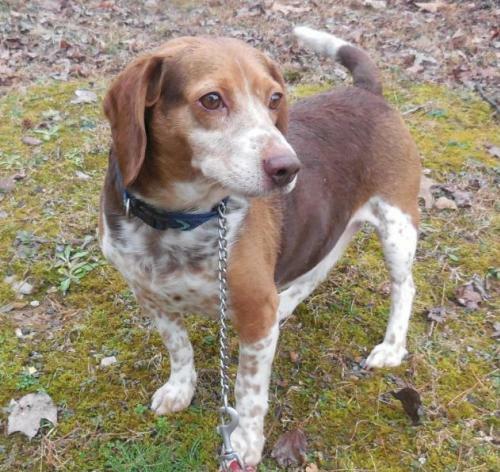 Currently we do not know if Rusty will be able to attend the event, Adoption Event on Sunday, April 17th, 2016. Currently we do not know if Rusty will be able to attend the event, Adoption Event on Sunday, May 1st, 2016. See Rusty's attendance information for future events.